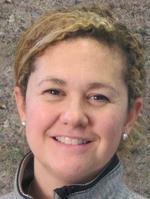 Dr. Jenna Rickus, originally from Brownsburg, Indiana, is amazingly both an Associate Professor of Agricultural and Biological Engineering and an Associate Professor of Biomedical Engineering. Not only did she complete a bachelors in biological engineering, but she received a bachelors in biochemistry from Purdue University as well. After that she followed her dreams out to California to complete a PhD in Neuro Engineering at UCLA before coming back to Purdue to teach and continue research. She loves traveling with her two adorable children and husband as well as attending biotechnology conferences all over the world. Our lab is dedicated to creatively engineering bio-inspired materials that can communicate with living cells, tissues and organisms. We are motivated by real world applications that improve the quality of lives for all humans. The materials we develop are integrated into biosensors, implantable devices, and tissue engineered constructs. Applications include novel research tools for neuroscience and cancer research, type 1 diabetes, space biology, and the brain computer interface. We are located in the Bindley Bioscience Center and the Birck Nanotechnology Center at Purdue University. Dr. Kevin Solomon is a global citizen and Assistant Professor of Agricultural and Biological Engineering. Originally from Jamaica, he grew up near Toronto, Canada before moving to the Northeast to complete a PhD at MIT and then Santa Barbara, CA to continue research. While his degrees are in Chemical Engineering, he has always been fascinated by the power of biology and works to harness these abilities to solve engineering problems. In his copious free time (! ), he enjoys experiencing new cultures, (attempting) Crossfit, and dancing including salsa and DDR :). At Purdue, Dr. Solomon works at the interface of applied and basic science where he develops new tools to manipulate non-model microbes for biotechnology. Specifically, he isolates and characterizes new microbes from the environment, and develops tools to engineer them. Current projects include development of new CRISPR-based technologies, microbial enhanced oil recovery, enhancing the deconstruction of biomass for biofuels, and design of tunable, responsive transcriptional devices. Prof Clase’ s lab investigates the mechanisms controlling neural cell proliferation and differentiation within brain tumors through proteomic and metabolic analysis. She is also interested in bringing grand challenge research problems into the classroom to engage students in the process of research and help them learn in an authentic interdisciplinary context. In order to facilitate this process, she explores the use of emerging technologies for learning and building collaborative communities. She currently teaches multiple courses covering topics in biotechnology, bioinformatics, biological design and drug discovery to engineers, scientists and technologists. Her currently funded projects include collaborators from multiple disciplines and an impact on students from K-12 to graduate education. Soo Jung Ha is a graduate student and pursuing her Masters degree in Biotechnology & Bioinformatics in College of Technology, Purdue University. 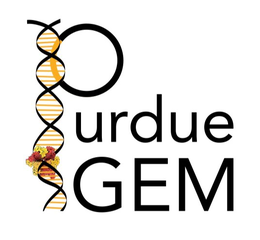 It is her second year mentoring iGEM team at Purdue. She loves running, baking, and watching movies. Interesting fact about Soo is she has a Doberman puppy and he is almost same size as her.